Today, we are celebrating Tankborn by Karen Sandler. First published in 2011, Tankborn was one of the original launch books for our Tu Books Imprint, which publishes diverse middle grade and young adult literature. 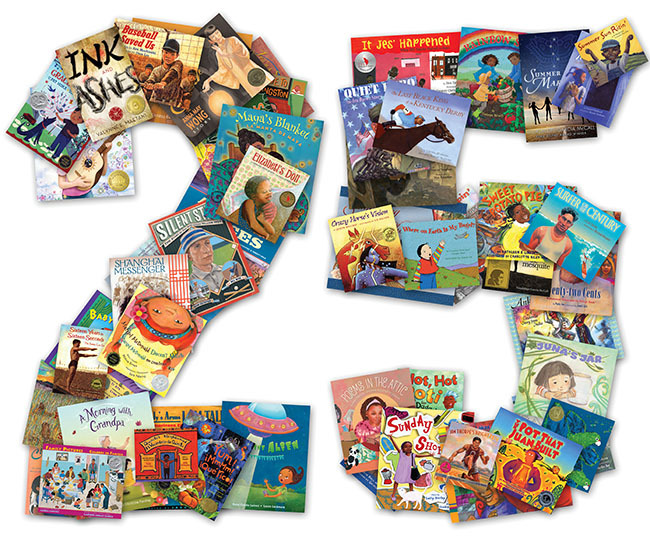 Since its launch, Tu has published nearly 20 titles for older readers featuring diverse characters, stories, and worlds. Tu Books also established the New Visions Award, an annual writing contest for unpublished authors of color (and today is the deadline for submitting your manuscript!). Today we celebrate Tu Books by highlighting Tankborn, a story about Kayla and Mishalla, two genetically engineered non-humans (GENs) who discover deep secrets about the creation of GENs and in the process find out what it means to be human. Synopsis: Best friends Kayla and Mishalla know they will be separated when the time comes for their Assignments. They are GENs, Genetically Engineered Non-humans, and in their strict caste system, GENs are at the bottom rung of society. High-status trueborns and working-class lowborns, born naturally of a mother, are free to choose their own lives. But GENs are gestated in a tank, sequestered in slums, and sent to work as slaves as soon as they reach age fifteen. LEE & LOW: Tankborn began as a screenplay named ICER in the 1980s. Can you tell us a little bit about the process of transforming the story from screenplay to YA novel? Karen Sandler: In the years since I originally wrote ICER, I’d tossed around the idea of novelizing it. When I started thinking about writing YA, my mind wandered back to ICER. How could I rewrite that storyline to make it work as a young adult novel? Some elements remained, but were transformed to fit the new story. Bio-norms became trueborns. Gene-tricks became GENs. In the script, bio-norms interfaced with jicks via jacks installed in the crook of a jick’s arm, not via tattoos. Devak (originally named Davik) was a jick in the script and he was the only character with a tattoo. The interactive tattoos on the face, Devak being a trueborn, the existence of the lowborns, the caste-like society, and the relocation to another planet were all deviations from the original story. LEE & LOW: The caste system is a very important aspect of this book. Why did you choose to investigate this societal structure? KS: I first learned about the caste system back in the mid-1970s when I worked on the Space Shuttle project with Dr. Azad Madni, who was originally from India. Azad told me stories of his life in India, about how the caste system worked, how his family was of the Brahmin class, and he showed me gorgeous photos of his wedding to his (non-Indian) wife. The idea of using the Indian caste system to structure Tankborn’s society came about fairly early on, in the first draft of the manuscript. You can purchase a copy of Tankborn here. Can’t get enough of Tankborn? Then check out Awakening and Rebellion, the subsequent installments of the Tankborn trilogy. Have you read Tankborn? Let us know!